We know readers tend to be writers too, so twice a month, we’ll feature writing tips from our authors. Who better to offer advice, insight, and inspiration than the authors you admire? They’ll answer several questions about their work, share their go-to techniques and more. Now, get writing! After developing an idea, what is the first action you take when beginning to write? I try to get started pretty much right away — for some reason I can never make myself outline anything, or even do all that much thinking or research before I start writing. I think I just need to see the story on the page before I know what to do with it or whether it’s working. So as soon as I have the very beginning of an idea, I usually try to start writing the story or novel as I think it might go, starting from the beginning. I don’t know if this is actually a good system — I almost always end up rewriting much of the beginning, and for a novel I typically spend about a year writing and rewriting before I get to a story that actually works. But so far it’s the only system I’ve been able to follow. Is there something you do to get into a writing mood? Somewhere you go or something you do to get thinking? These are pretty clichéd, but I like to make tea and sit in a chair by the window. Sometimes I even light a scented candle. If it’s a first draft, I usually write long-hand in a journal. I find the computer pretty distracting, and I can’t seem to get in a groove if I’m looking at the screen. The journal allows me to sort of slip into an alternate mental space where I can think about the story I’m trying to tell. Did you always want to write? How did you start your career as an author? I always wanted to write. Before I actually knew how to write I’d make my mom or my aunt take dictation. I produced several “books” this way. You could say I started my career as an author when I published my first short story in The Atlantic in 2005. But I didn’t necessarily feel like I’d started a career then. I wasn’t sure I could ever publish anything else, and for a long time I didn’t. When my first novel came out in 2011 I felt a little more like I had a career, but I still wasn’t sure if I’d ever be able to publish anything again. I guess I’m not sure I’ll ever fully feel like I have a career as an author — I might always feel uncertain about the next step, the next thing. I do feel like a writer most of the time now, which is different from having a career, but which still feels good. Do you ever base characters off people you know? Why or why not? Sometimes when I’m thinking about what a character looks like, I’ll imagine people I know, but usually not people I know well. I don’t usually base characters’ personalities on people I know — my writing isn’t usually very autobiographical, so the stories I’m writing often call for people with particular characteristics that wouldn’t necessarily match those of people I know. If anything I tend to base characters on aspects of myself. If I’m trying to think about how someone might behave in a situation, I might think about how I might act if I were a little stronger, or weaker, or meaner. And so sometimes my characters end up being an expression of a particular side of me, sometimes intentionally and sometimes not. How is writing a novel different from the kind of writing you normally do? I’m also a journalist, and writing a novel feels very different from that kind of writing in that it’s more inward. When I write a news story I’m talking to people and reading things and stitching it all together into a piece that says something about the outside world. When I write a novel I’m sort of going deep inside my own brain and building a new world in there, and then trying to communicate some of it on the page. Someday I’d love to have my brain scanned while I’m writing fiction and then while I’m writing non-fiction — I wonder if the activity would look really different. 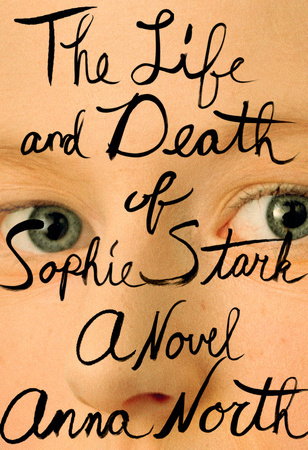 Read more about Anna North’s book, The Life and Death of Sophie Stark here.